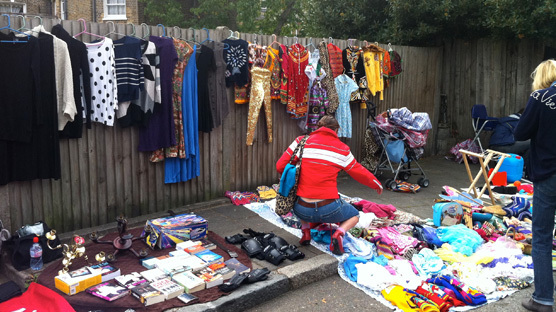 We joined the residents of Belfast Road in Stoke Newington for their annual street sale and party last Sunday. 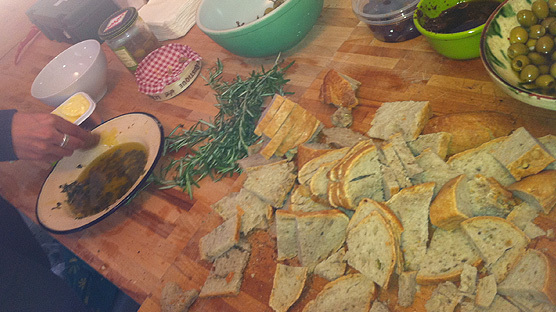 It was a rummagers delight fueled by home baked bread and a free potato. 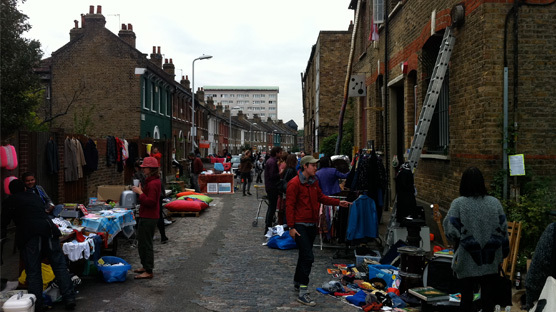 Belfast road and it’s residents enjoying their annual flea market. My friend recently moved to the cute cobbled streets of Belfast Road and I was more than happy to visit him on the day it was celebrating it’s annual street sale. With a 5am car boot sale already under my belt that morning, I popped along with some spare change, an empty laundry bag and the will to stay awake. Fences lined with cute and colourful clothing & blankets piled high to rifle through. 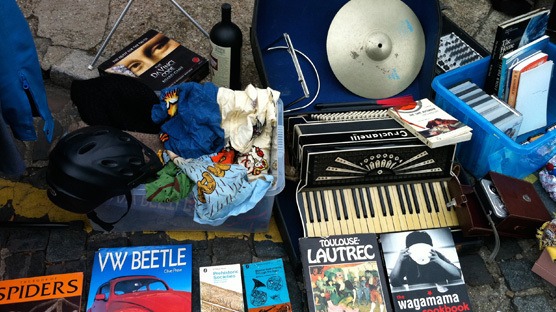 A pile of books and an accordian. I was tempted to buy this accordian and run away to Paris and make my living playing it on the banks of the River Seine. Shame I’m tone deaf. 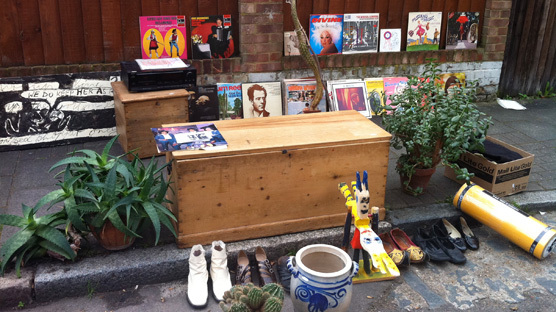 Plants and records for sale. Nearly bought these house plants, then remembered I can’t have house plants anymore because my cats eat them. Taxidermy and records for sale. 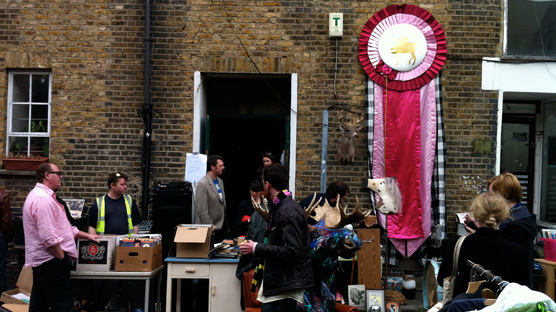 This was my favourite stall selling records and taxidermy, run by a boy obsessed with owls. 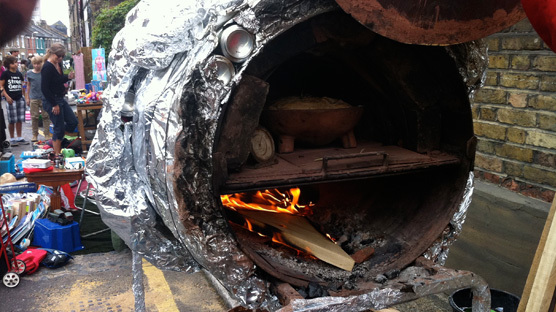 Make shift oil drum oven baking delicious bread. After buying a laundry bag full of thrift we followed our noses and discovered a homemade oven baking delicious bread for one and all to snack on. It was delicious! My friend went on to buy some vegetables from a local who was selling produce from her allotment. For some reason unbeknownst to me she gifted us a free potato, upon which we immediately returned to my friend’s flat and baked it washed down with a bottle of red. What a great day!